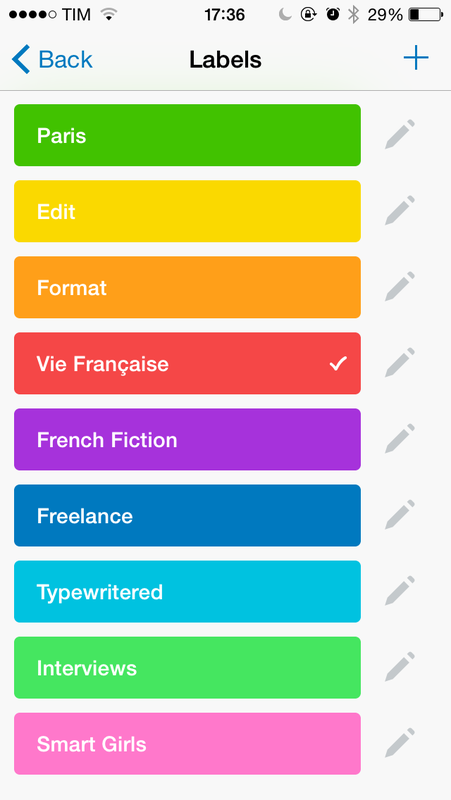 Since I began my internship with My French Life, Trello has been my number one app on my phone. How did I ever live without it? 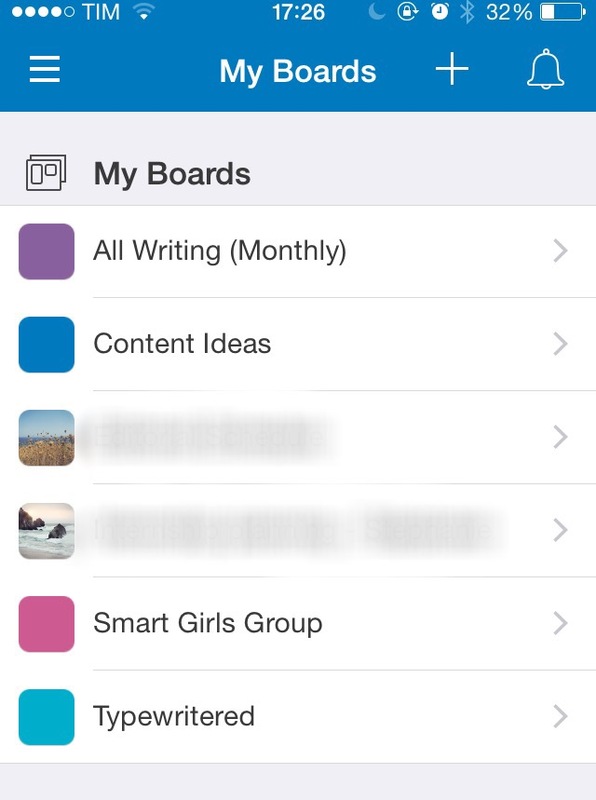 Trello allows you to organise your projects by creating different boards and lists within these boards. Then, to each list, you can add as many cards as you like. 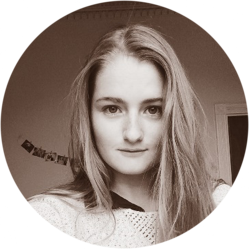 I have a monthly “Writing” board in which I categorize every single piece I am going to write each month, be that a blog post, an article or a writing competition I want to enter. This is what my list for July looks like. I love being able to see my writing schedule for each month at a glance, and to re-order the cards within each list as I need to. When each piece is submitted, I can move its card to the “Completed” list before moving on to the next one. I create a card for each piece I need to write, and Trello lets me add labels, checklists, attachments, members and a due date to each card. 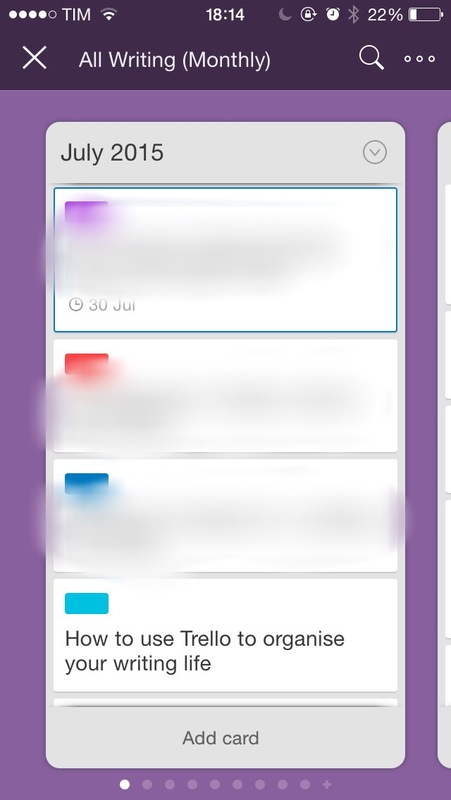 Your boards can be either private or public, and if you are using Trello as part of a company or organisation, you can create a board that allows all members to contribute and leave comments on the cards. You can even move cards to different boards and subscribe to them. The only flaw I can find with this app is that you cannot modify your boards when you are not connected to the internet. This doesn’t stop you from viewing them, though. *This was not a sponsored post, I just genuinely love using Trello! I love Trello too, I use it to organise my day’s workflow, to list the steps for various projects, to share plans with friends… it’s such a versatile tool! I don’t know what I’d do without it now!